Learning to measure our world is a welcome experience for young children. Children love being able to use “real tools” to measure things that they encounter on a daily basis. 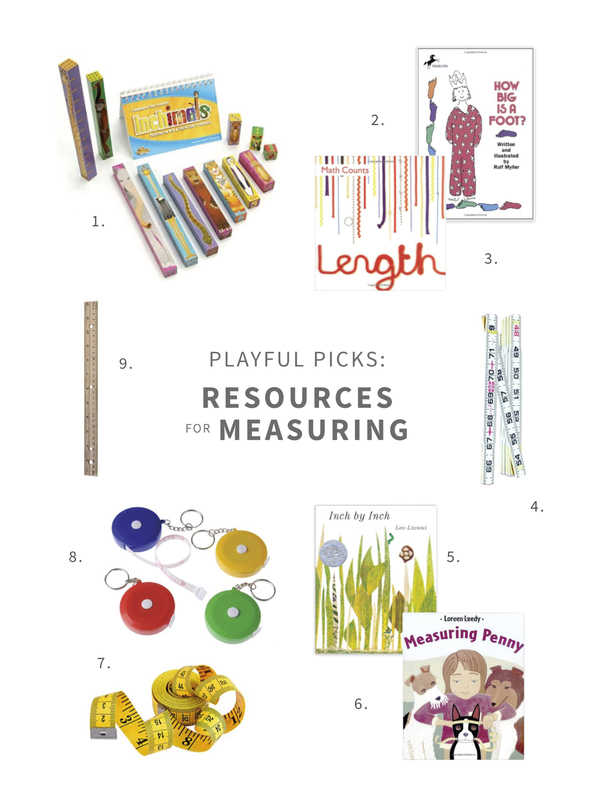 Here are our favorite picks for introducing children to measurement. It’s fun to mix up the tools children have available to measure in a variety of different circumstances. Beware, you may just find that your child wants to bring their tape measure with them wherever they go! Maker sure to check out our fun measuring activity, Inch by Inch: Introducing Measurement. 1. Inchimals – Fun way to learn about measuring! 5. Inch by Inch by Leo Leonni – One of our favorite authors! 9. Classic Wooden Ruler – Every house needs one!